The pave is wonderful. I love the old illusion set pieces too, hardly ever see that anymore. Thanks! Oh wow. So great. Probably not in my stocking this year! ps I would be happy with a copy! couldn't somebody do a really good one? 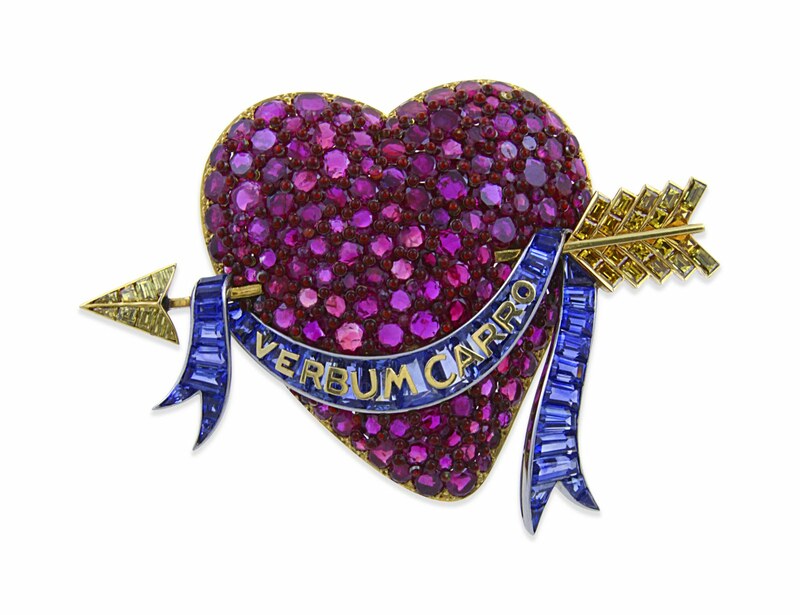 A garish and lovely object, to be sure, but the tip of the arrow seems a bit askew. For that kind of money I would demand a straight arrow. Ironic that she died of an enlarged heart, no?